Straightaway I knew The Body Finder was going to be an intriguing story and it was. I found it engaging and I especially enjoyed the romantic aspect of it. Generally I tend to like books told from first-person but the third-person narrating was easily followed. You get Violet’s point of view and than the murderers so that was pleasantly entertaining. I liked the main character but I couldn’t really connect with her which was a little disappointing. Violet’s best friend Chelsea seemed really shallow at times which also threw me off just a little bit. The main heroine is very brave and especially courageous because she takes the initiative to do something to apprehend the killer and I was pleased to see that. But like all teenagers she makes a few mistakes along the way which isn’t unusual because we all do. But it didn’t wow me in the way that I was expecting it to however I did enjoy it nonetheless. Violet’s ability is incredibly useful and inventive – I’m excited to see how it develops in the next books. Kimberly Derting’s writing is enthralling I couldn’t get enough of Violet’s story so I went ahead and bought the rest of the series immediately after finishing this one! Although it wasn’t exactly what I had expected it was a great read with a nice teenage romance and an interesting enough mystery. What I would have liked to have seen is more background on Violet’s inherited gift. Unfortunately The Body Finder scratches the surface on all further analysis of her ability. I did like the fun nature and deep friendship between Violet and Jay although their feelings for each other were very obvious. Their inseparable relationship is sweet and I was satisfied with the unfolding romance. At times it did seem to overtake the story and stray from the plot but still managed to get back on track. Anyone who likes a blend of mystery with paranormal elements and romance will like this book because it has all of that. Just don’t expect too much from the mystery and crime part of it because it’s predictable and the resolution too easily solved. 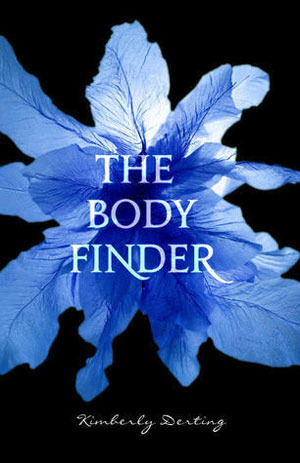 The Body Finder creates an interesting story that’s both fast-paced and teen-friendly. Although the premise would suggest this book is creepy, and full of mystery and suspense it falls short as two thirds of the book focuses on the feelings Violet develops for her long time best friend Jay Heaton and vice versa. Overall a decently written book with an uncommon paranormal component that will either keep you reading on or make you lose interest–fortunately I’m sticking with this series!